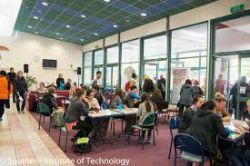 The Southern Institute of Technology (SIT) is one of 20 government polytechnics and institutes of technology offering tertiary education throughout New Zealand. SIT programmes are accredited and approved by the New Zealand Qualifications Authority up to postgraduate level. SIT has a proud history of vocational education and training. For almost 40 years we have been providing students with quality education across a range of subject areas and at a variety of levels including postgraduate study.